Who is Hisham Ramez, CBE's new governor? The Central Bank of Egypt (CBE) stands before a shift in powers, as Hisham Ramez replaces Dr. Farouk El Okdah as Governor of CBE. As news was going back and forth about current CBE governor Dr. Farouk El Okdah’s resignation, sources claimed that Okdah’s 2007 Deputy Governor Hisham Ramez will replace him - and now at the beginning of 2013, President Mohamed Morsi finally appointed Ramez as Governor of the CBE. 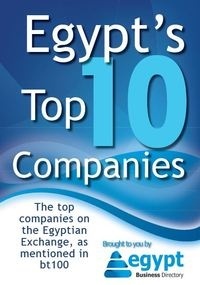 Egypt Business Directory compiled the most important information about the debated candidate. Since December 2011, Hisham Ramez was and still is the Vice Chairman and Managing Director of Commercial International Bank (CIB). His strengths and achievements mainly lie in the field of Asset & Liability Management, Investment Banking and Risk Management – something that might aid him in his possible post as the Head of the Central Bank of Egypt. - 1982: Assistant Manager in the Senior Foreign Exchange and Money Market Division at the Bank of America. He then got promoted to Manager and Senior Trader. - 1988: Vice President of the Arab Banking Corporation in Bahrain. - 1996: General Manager of the Egyptian Gulf Bank. He then got promoted to Managing Director and CEO. - 2006: Chairman and Managing Director of the Suez Canal Bank. - 2007: Board Member and Deputy Governor of the Central Bank of Egypt. - 2011: Vice Chairman and Managing Director of Commercial International Bank (CIB). Sources: Federation of Egyptian Banks (FEB) and CIB.